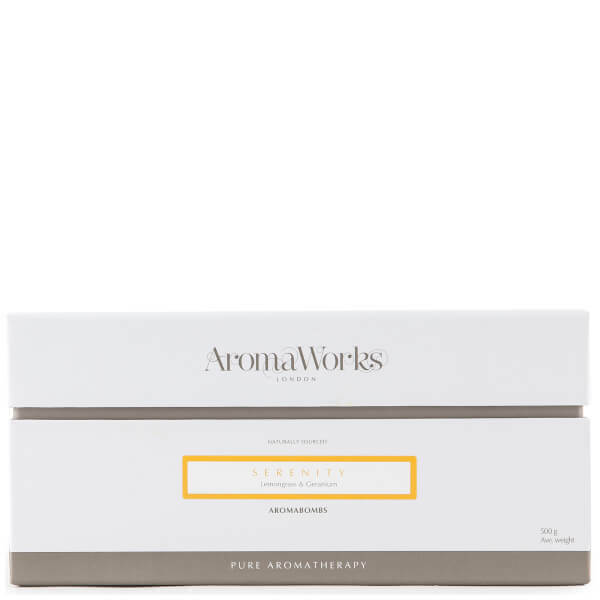 Unwind and de-stress with the AromaWorks Serenity AromaBomb Duo Set. Combining two luxurious bath bombs made from the finest salts and powders, the therapeutic bath bombs blend four pure essential oils with detoxifying Himalayan Sea Salt and calming Calamine to leave you feeling relaxed and at ease. Enjoy a Zen-like bathing experience and let your troubles melt away as the warm, citrus fragrance powered by Lemongrass and Neroli envelops your senses.